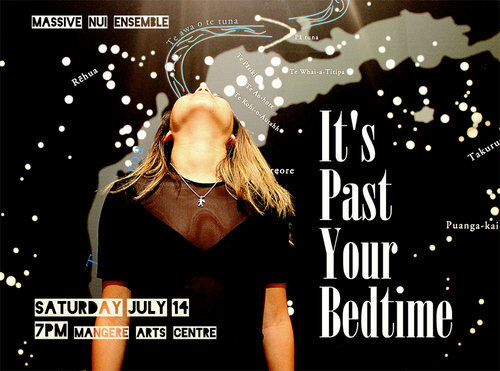 Join Massive Nui Ensemble for an informal showing of their recent work, created around the theme of childhood night-time and Matariki memories. Entwined with star-studded stories from the performers’ own cultures (Aotearoa, Tonga, China and the Solomon Islands), this performance is a blend of dynamic movement, music, intriguing characters and innovative story-telling. We love having people join us as we make our work! Rehearsals for this showing are open to all, free of charge. Our rehearsals run from Monday-Friday from 10am - 4pm. Pop in for a visit and get a glimpse of how Massive makes theatre - then come along on Saturday night to see the final showing, directed by Carla Martell and Dominic Ona-Ariki. This event is part of the Matariki Festival, June 30 - July 22, proudly hosted by Auckland Council in partnership with Te Kawerau a Maki.